Even the friendliest hive can get cranky sometimes. Luckily it’s easy to Bee Prepared with our organic unbleached cotton suits - perfect for beekeepers who want to know they have the very best in sting prevention, whilst also following the example of our little environmental champions (bees) by buying unbleached certified organic cotton! This beekeeping kit includes our highest grade, unbleached, GOTS certified organic cotton beekeeper suit emblazoned with the Flow logo on it’s breast pocket. 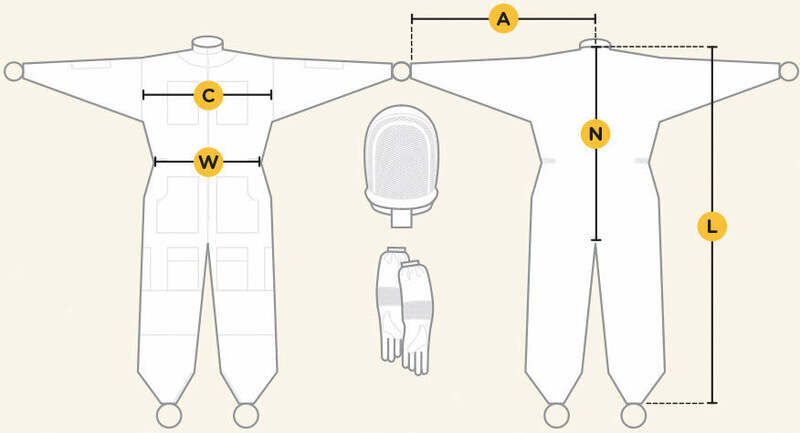 Equipped head-to-toe with durable, high quality YKK zippers, a fully removable fencing veil, plus anti-bunch elastic thumb and ankle stirrups– these suits offer the ultimate in beekeeping sting prevention.